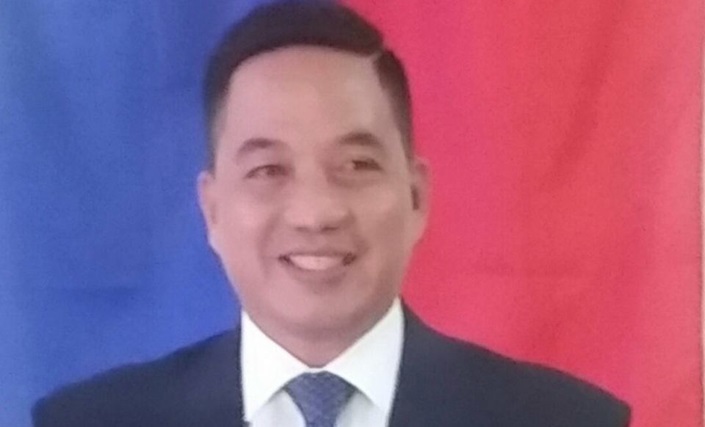 Duallo poured out his sentiments during an interview with DYRD “Inyong Alagad” on January 16, 2019 after he felt that he was being alluded to as the brains behind the dastardly assault perpetrated by still unknown assailants in an isolated stretch of highway in Barangay Tulang, Jetafe. “Since I took over the mayorship of Buenavista after the killing of Mayor Ronald Lowell “Sample” Tirol on May 27, 2018, I have made my priority the peace and order situation. There has been no incidence of violence since I sat as mayor,” according to Duallo. Duallo lashed at 1st District Congressman Rene Relampagos who pinned the ambush and killing on politics as “the height of irresponsibility” especially coming from a person of his stature. Upon being informed of Relampagos categorical conclusion, Duallo vigorously denied any knowledge of the planning and execution of the killing of his classmate and colleague in the law profession. According to Duallo, the name of Cabarrubias was not in the Consolidated list of all substitute candidates for local positions for Bohol as released by the Comelec. A check from the Comelec website posted on December 17, 2018, did not show the town of Buenavista, name to appear in the ballot and their respective positions of its substitute candidate. Only 26 towns with substitute candidates appeared in the consolidated list. Duallo also told “Inyong Alagad” that the political atmosphere in Buenavista was characterized by civility and was based on issues confronting the community. The local office of the Comelec said that Cabarrubias is officially recognized as a mayoralty bet of Buenavista as the protest was already resolved by Comelec en banc. The statement of the local Comelec came after it was mentioned that in the website of the commission the name of Cabarubias is not yet listed. Cabarrubias and his driver, Conrado Aniasco were heading home after a court hearing in Talibon and was trailed by two unidentified hitmen on board a motorcycle shortly at around 1:50 PM. According to the initial investigation of the Jetafe Police Station, the hitman fired three shots from a .45 caliber handgun upon coming abreast from the left side of the Toyota Fortuner the victims were on board fatally hitting Aniasco in the armpit who was declared dead on the spot by responding Scene of the Crime Operatives (SOCO). Cabarrubias who was seated at the right front side was unhurt after he manage to escape by leaping out of the vehicle and scampered to a nearby house. The ambush was carried out in a remote part of a highway 12 kilometers from Talibon and 20 kilometers from the town poblacion of Buenavista.